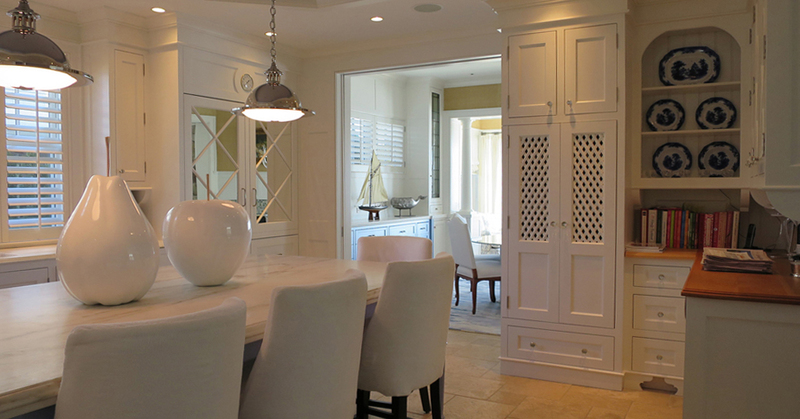 Kitchen in this house always opened into the living area, large island did not have stools for eating at it. 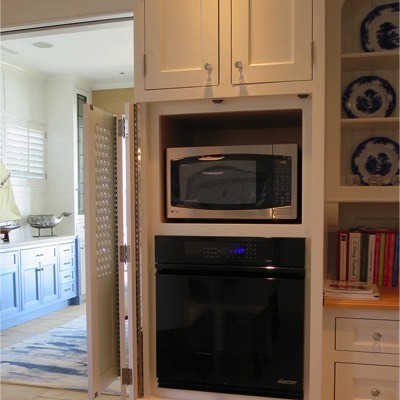 Corner placement of commercial range blocked storage for dishes and glassware...by moving the range over we developed a better work area between it and the sink. 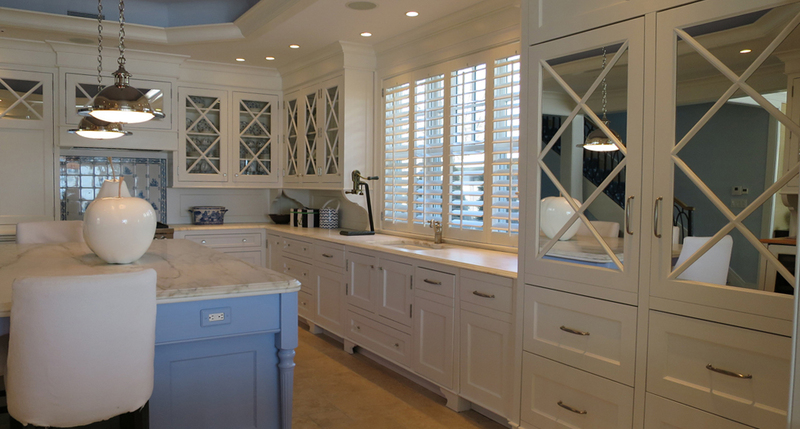 New large pantry space for dry goods storage was added to the left of the range and glassware and dish storage on both sides of the sink. 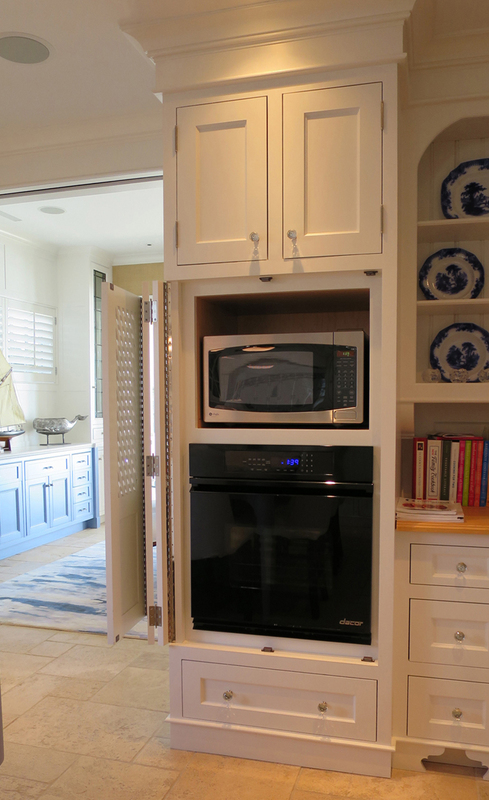 Second oven and microwave was moved To the other side of room for ease of access to dining room. 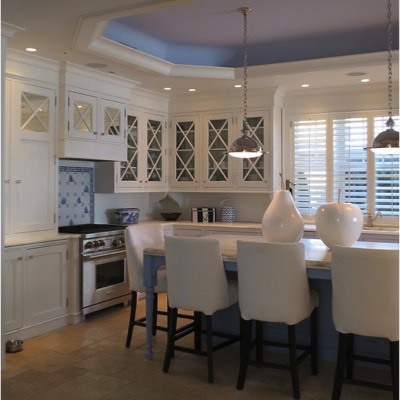 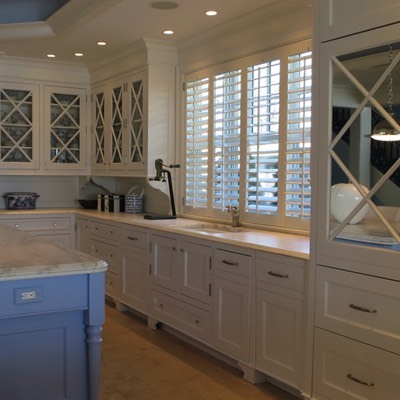 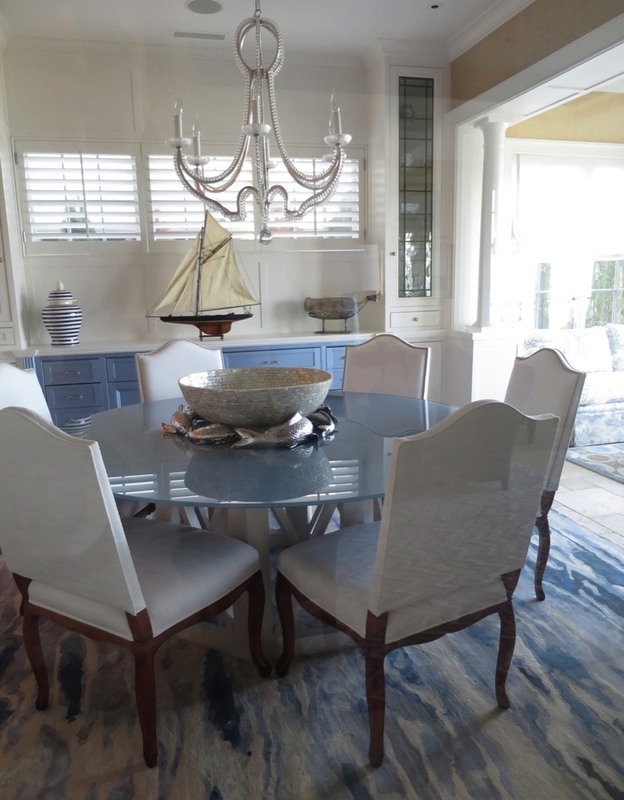 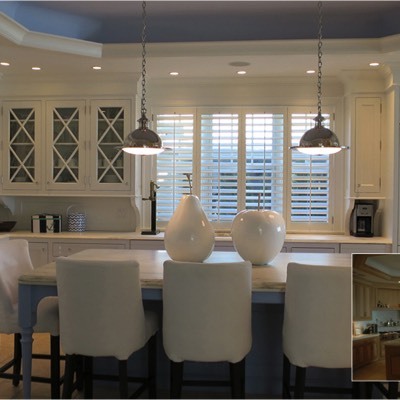 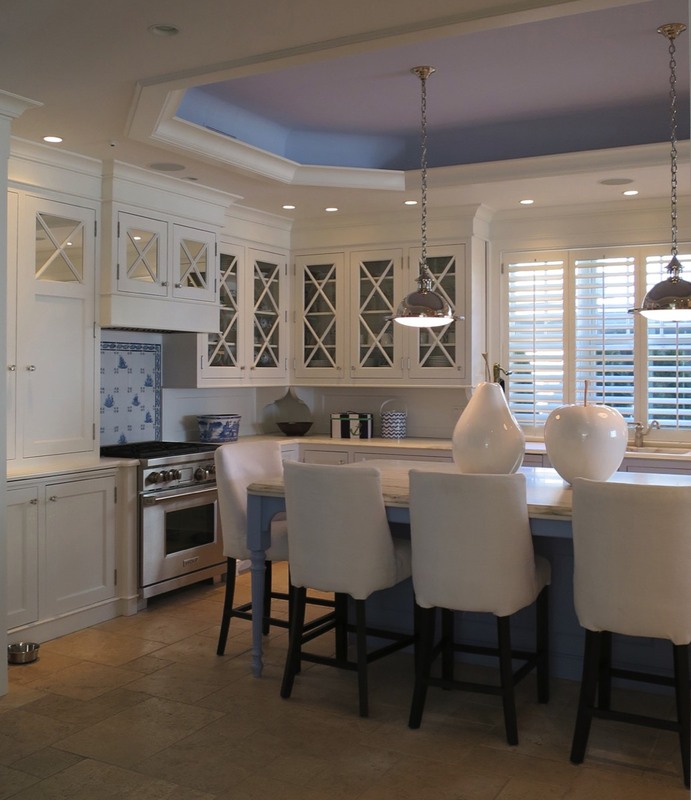 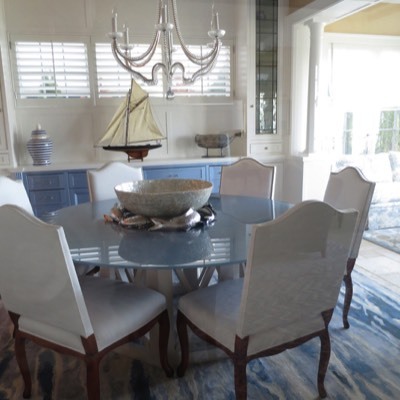 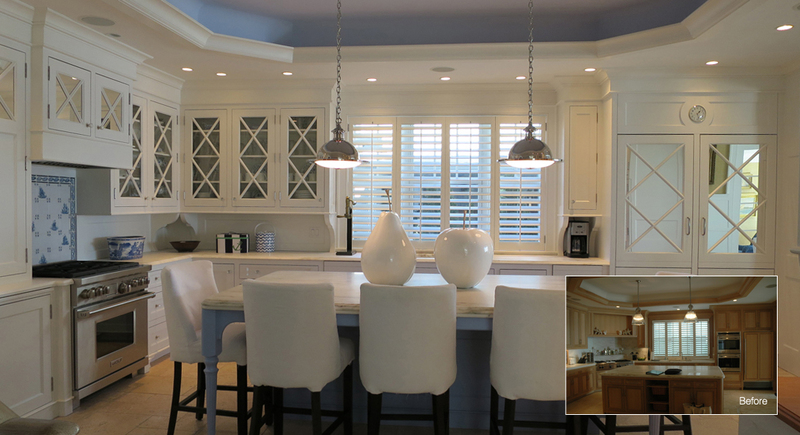 French blue ceiling and island continues the beach theme throughout the first floor.